A year ago, my life changed drastically. A year ago what I thought was a night out with one of my best girlfriends, turned into a forever night with the ultimate best friend, and the love of my life. Today the love bug bite is all about remembering when we decided to spend our life together. 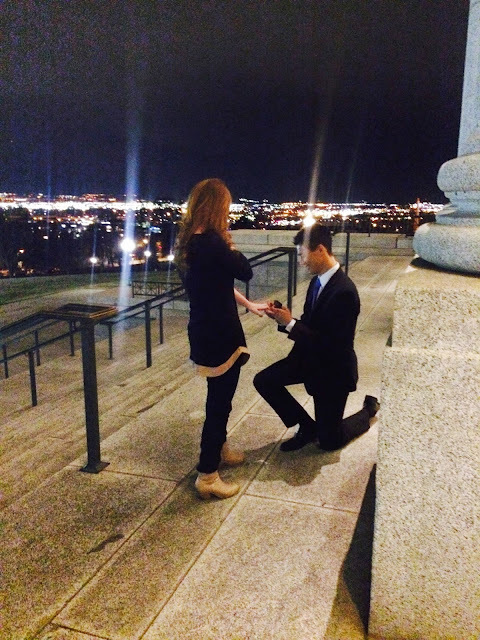 It was the easiest "yes" of my life, and the most important answer I had ever given. 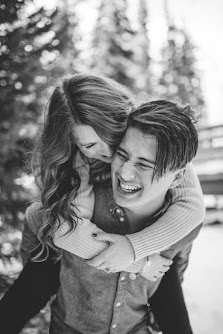 Deciding to marry my high school sweetheart, my missionary, my best friend - it was easy. The road up to making sure it was the right decision wasn't always easy, but that night I knew I had never been more sure about anything. Love is learning about someone else. Love is seeing the best and worst sides of someone. Love is thinking and weighing and choosing. Love is taking the risk when you have no idea what the future will hold. And love is confidence in that no matter what the future holds, you want to experience it together. I remember waking up the next day and looking down at the ring on my finger. It seemed completely surreal. I used to really believe in the idea of soulmates. And then as I got older I found out that the Church doesn't really teach that. And that kind of bothered me. Until I figured out something. There's a lot of good people in this world, and two people who are putting God first in their lives and who are working hard at it, can make a marriage work. Obviously there are types of people who work best together, who enjoy the company of each other the most, who have the most fun together, who have chemistry. But arranged marriages have worked for hundreds of years, and many people say they're extremely happy. Two people can make a marriage work. So it's not about finding the only person who you can hack it with, because there are probably a few different people you could hack it with. I chose to make Randy my soulmate, and he chose to make me his. We chose each other - fully realizing we could keep on looking, keep on dating, etc. We chose each other, and we chose us. And we keep choosing that every day. On the hard days, on the bad days, on the sick days, and on the wonderful and happy days. We choose our love, our marriage, and each other. That's the sentiment today. And a year ago, I chose to say YES. Happy anniversary of our engagement my love. And happy love day 2 to the rest of you! I love this! The soulmate thing kind of bothered me too, but this made it make complete sense! I'm sure I won't understand fully until I am engaged/in love, but the idea of CHOOSING is so spot on. Now I get it!